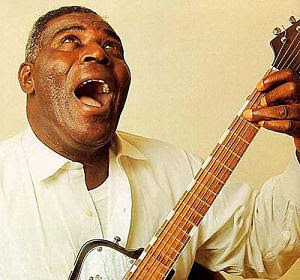 * Sun Recordings by Howlin' Wolf. Before he moved to Chicago and became a giant on Chess Records, Wolf recorded for pre-Elvis Sun records in Memphis. This collections shows Wolf doing what he does best -- raw, minimalist blues. Nobody can deny there is power here. "Chocolate Drop" is just good stomping fun. "Drinkin' CV Wine," with Wolf singing in a higher key than usual, makes it sound cool to be a wino, and "In the Groove" is a Memphis blues refiguring of Glen Miller's "In the Mood." While this material is not quite the quality of the classic tunes that would mark his tenure at Chess. Not that the material is bad here -- it's just that there's nothing on par with "Smokestack Lightning," "Goin' Down Slow" "Back Door Man" or "Killing Floor." Still, it's a joy hearing Wolf develop his talent, showing hints of what was in store. 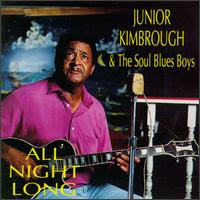 This was Kimbrough's first album, and indeed one of the albums that helped launch Fat Possum back in 1992. Kimbrough, along with fellow Mississippi Hill Country bluesman R.L Burnside, were the embodiment of the back-to-basics Fat Possum blues asthetic of that era. Kimbrough's high-pitched moan and the rough-cut minimalist guitar/bass/drum musical backdrop create a hypnotic sound. You feel like you've isolated the basic DNA of American music right here. 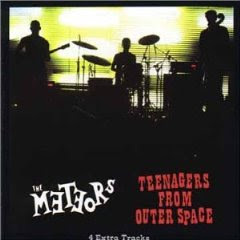 * Teenagers From Outer Space by The Meteors. This is classic psychobilly from England by one of the first bands to embrace the term. They have the punked-up rockabilly sound down like perfect masters. And one thing I like about them from the start is that they don't try to sound like they're from Tennessee. Their British accents are loud and proud. Jon Langford could jam with The Metoers and not sound out of place. Much of their songs on this album are horror. "My Daddy is a Vampire" and "Graveyard Stomp" make me think Screaming Lord Sutch was an influence. There's even a song called "Voodoo Rhythm." Could this be where my favorite Swiss record company got its name? The Metors do science fiction too -- "Dog Eat Robot" and "Jupiter Stroll" for instance. In fact the album title comes from one of the tackiest '50s sci-fi B movies I've ever seen. 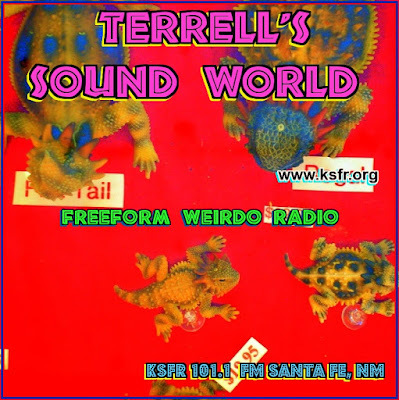 And they do a fine version of The Electric Prunes' "Get Me to the World on Time." *Make It Stop! The Most of Ross Johnson. This Memphis maniac's been a sideman for Alex Chilton and Tav Falco and used to write for Cream magazine. But that doesn't matter. He's a complete nut, at least on stage. "What part of I have a personality disorder don't you get?" he chides an audience on one tune here. And yet he's actually pretty lovable. In real life he works as a librarian. Backed by his bands including The Young Seniors, Our Favorite Band and American Musical Fantasy, that offer up ragged-but-right versions of songs like "Theme From a Summer Place," "Mr. Blue," "Last Date,"and "Don't Let the Sun Catch You Crying." 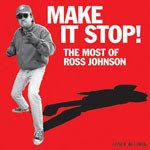 Ross rants, raves and tells shaggy dog epics kind of like a cross between The Legendary Stardust Cowboy and Roy D. Mercer. *Provisions by Giant Sand. I'm still absorbing this one. This is Giant Sand's first album in four years or so -- though Sandman in chief Howe Gelb has released solo efforts in between. 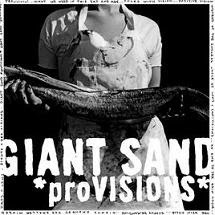 I'm not the first writer who's expressed confusion at what constitutes a Giant Sand album vs. a Howe Gelb album. Gelb already named a previous album "Glum" (which still is one of my favorites), but that title would have fit this record as well. There's a somber tone throughout. Gelb's raspy voice seems almost a whisper on many tunes. The piano-bar apocalyptic lament "Spiral" -- in which Isobel Campbell adds background vocals -- might be Gelb's "Everybody Hurts." It don't get much glummer than this. Provisions rarely breaks out and rocks, (though it gets close with some crazy guitar on the instrumental "World's End State Park" and a few chaotic moments on "Muck Machine" and "Belly Full of Fire") but the noirish tremolo guitar and the late-night truckdriver radio melodies that grace several of the cuts make this album an intriguing listen. The Argentines are one exciting little band. 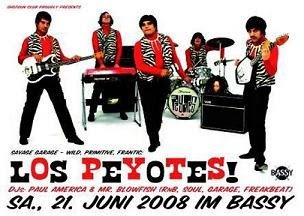 Offering original Farfisa-fueled garage rock they play mainly original Spanish songs. But they also do a fine take on The Seeds' "I Can't Seem to Make You Mine." * "CIA Man" by The Fugs. Here's the other side of "Secret Agent Man." No kissing of persuasive lips here. I heard this during the credits of Burn After Reading and had to have it. This is the 1986 version of The Fugs. The music is a little more focused, a little less chaotic than their '60s incarnation.